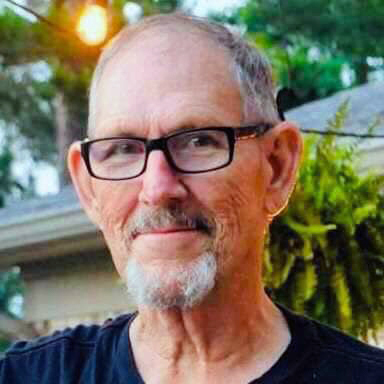 Jimmy Dawayne Huddleston, 73, of Russellville, died Tuesday, April 2, 2019, at Arkansas Hospice River Valley Home. The son of J.D. and Doreatha (Cooper) Huddleston, he was born June 20, 1945, in Waldron, AR. He married Carolyn Lovella (Woodral) Huddleston, on February 28, 1964, in Poteau, OK.
Jimmy graduated with a Bachelor of Arts Degree in Christian Education from the University of Biblical Studies. Over his 47 years in pastoral ministry, he served the Roseville Assembly of God Church; Booneville First Assembly of God; Magnolia First Assembly of God; Happy Valley Assembly of God; and the former New Life Trinity Assembly & Academy here in Russellville. He planted and pastored New Life Church for 35 years and was an ordained minister in the International Pentecostal Holiness Church. He also served the Assembly of God District as Section 5 Leader for Christ Ambassadors. Since retiring from the pastorate, he has worked with the World Intercession Network in Oklahoma. He and Carolyn have remained faithful members & servants, worshipping with their faith family at The Bridge Church in Russellville. Prior to his pastoral years, Jimmy was a truck driver and manager at Arkansas Charcoal in Paris. Throughout his pastoral career he was able to return to his love for trucking at Willis Shaw Trucking and Dalton King Packaging. Everything Jimmy did, whether it was ministry work or otherwise, he did fearlessly at 110%. He went sky diving at age 70. He rode a bull at age 72. He loved to grow sunflowers every summer, enjoyed photography, and adored his canine companion, Bo. More than anything, he enjoyed spending time with Carolyn, his family, and especially his grandchildren and great grandchildren. Jimmy was preceded in death by his parents. The family he leaves temporarily until their heavenly reunion includes his wife & ministry companion of 55 years, Carolyn Huddleston; his two sons, Jeremy Huddleston (Misty) of Pottsville; and Travis Huddleston of Houston, TX; his daughter, Christi Williams (Scott) of Russellville; six grandchildren: Andrea Willis of Los Angeles, CA; Allison Huddleston and Jared Jones, both of Little Rock; Carson Williams (Morgan) of Greenbrier; Jakobe Huddleston and Jordan Huddleston, both of Pottsville; three great grandchildren: Evan Willis and Austin Willis, both of Los Angeles; and Austyn Williams of Greenbrier; a sister, Pam Huddleston of Wister, OK; and several nieces & nephews. A memorial service to celebrate the life & ministry of Jimmy Huddleston and to worship & honor the God he loved & so faithfully served will be held at 6:30PM, Tuesday, April 9, 2019, at The Bridge Church, 706 West 6th, in Russellville. Bishop Randell Drake will officiate, assisted by Rev. Mike Brown, and Rev. Larry Domerese. Cremation arrangements are under the direction of Humphrey Funeral Service. Visitation will be 4:30 to 6:30 pm, preceding the service Tuesday, at the church. The family has asked that memorials be made to the Arkansas Hospice River Valley Home, 220 John Babish Lane, Russellville, AR 72801; or, NHM-WIN Department, 3905 South Elm Place, Broken Arrow, OK 74011. Internet obituary and on-line guest book are available at www.humphreyfuneral.com.